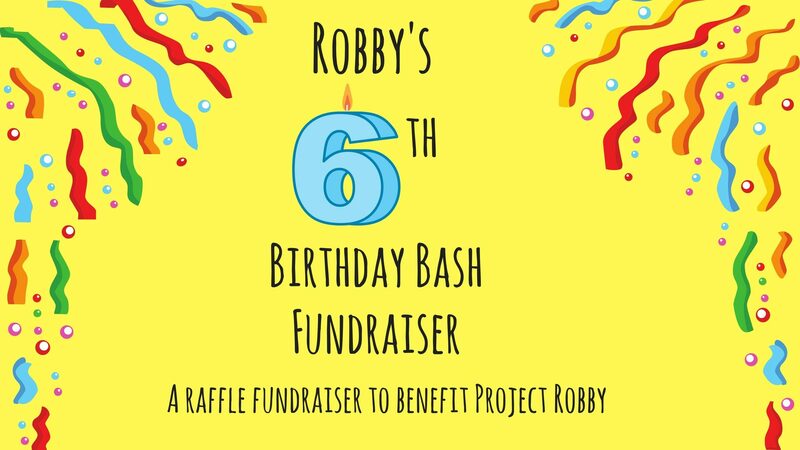 Welcome to Robby’s 6th Birthday Bash fundraiser! We are glad to have you here with us to celebrate our Robby’s 6th Birthday. Please feel free to browse through all of the different “packages” that we have put together and will be raffling off during Robby’s birthday week (February 20-24). All baskets that we will be raffling are listed at the top of this website. Instructions on raffle ticket prices as well as how to enter are listed on each page that the basket is being raffled off. The prizes from the “basket” will be coming from each individual sponsor, and therefore will not come all at once. Since the items in the basket will be shipped from different sponsors, if you win a basket, feel free to split items up to different addresses if you would like! Please share this website as well as the event page so that we can reach more people! The proceeds from this fundraiser will benefit Project Robby.